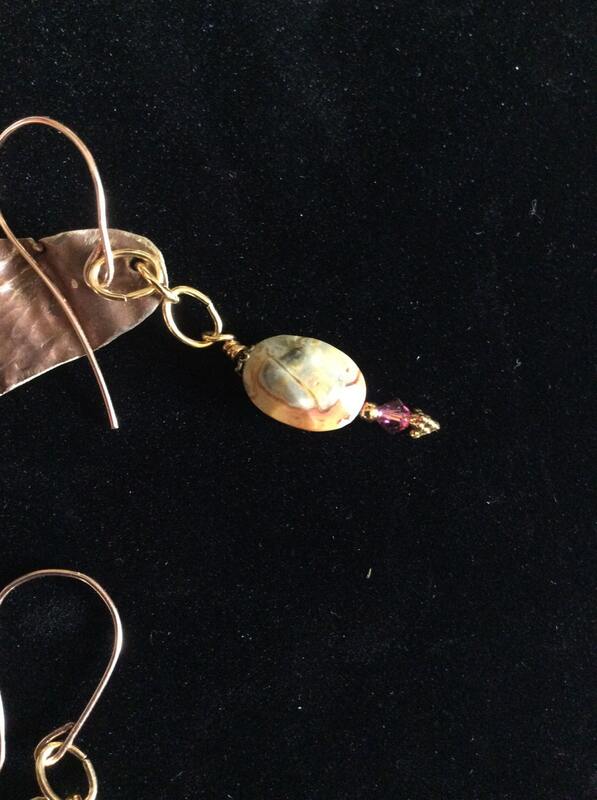 One of a kind artisan earrings featuring fold forming technique with brass. 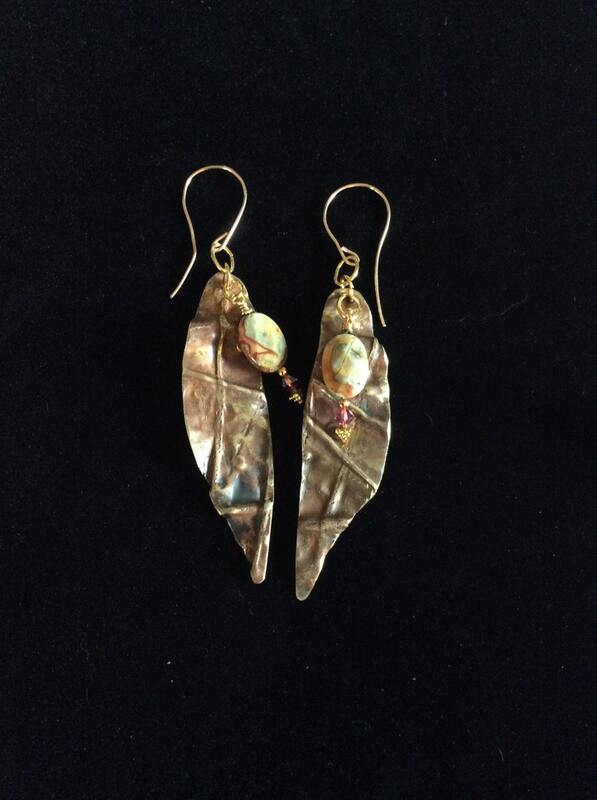 These unique earrings are in the Bohemian style which translates to a free spirited customer searching for a pair of good quality statement earrings. 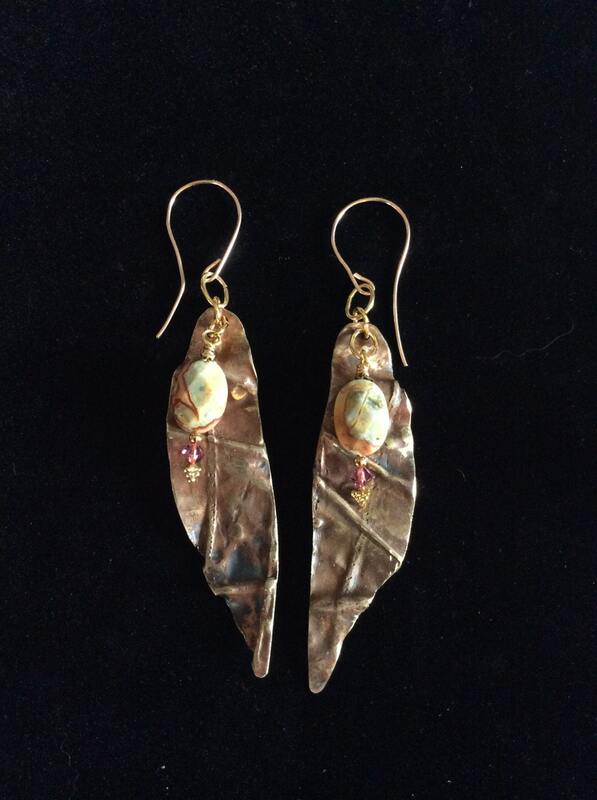 Organic in presentation, they feature textures and shine in raised spaces and are complemented by the addition of a gorgeous faceted Mexican opal. The earring measures 4" from top of earwire to bottom of metal. The opal is approximately 5/8" in length. The opal is even further enhanced by a fancy headpin, antique bead cap and padparadscha Swarovskicrystal. 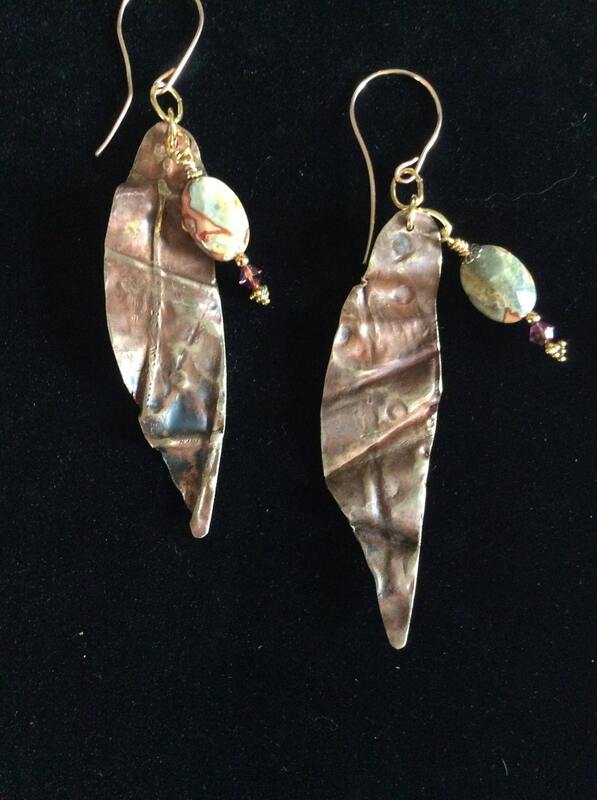 A stone or gem of your liking can be substituted and metals can be changed to copper or bronze. Simply convo me and we'll work on your design together! 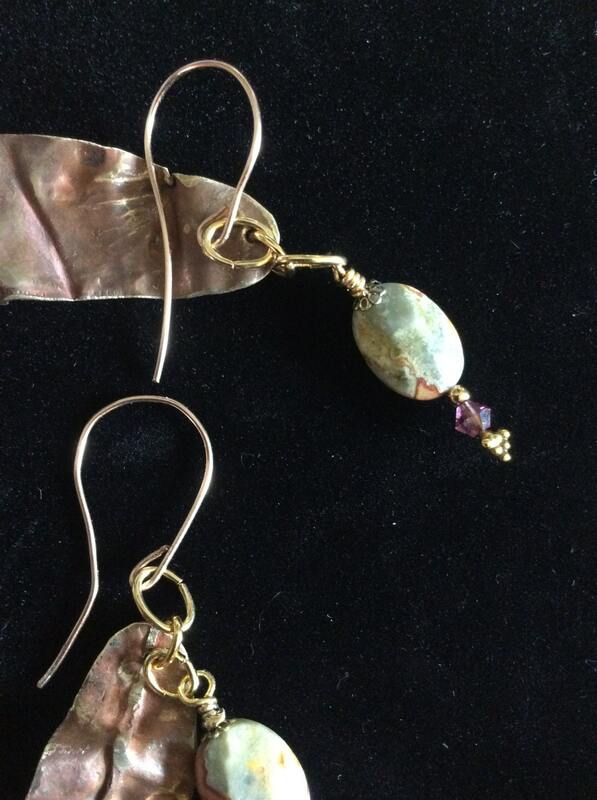 The handmade gold filled earwires add richness and quality to this design. Fold forming is a techique that's labor intentive and physically demanding. It involves many repetitions of the torch, hammer, and anvil. Taking my time in hand filing and polishing, a lot of my personality and love are imbued into each and every piece! Shipping is free in the US, and each item arrives in a shiny black gift box with elastic gold ribbon either as a gift for yourself or someone else. If you would like it mailed to another address, I can send it along with a heart felt message from you if desired! Just convo me a message with your wishes!